You can't keep a good liar down. 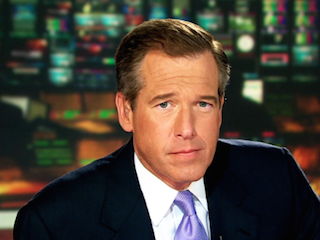 It’s official: Brian Williams is back. NBC News announced that Williams will serve as a backup to Lester Holt on Nightly News, and as a breaking news anchor for MSNBC. In a statement, Williams apologized (again) and thanked the heavens that he was a white male. Well, not exactly.